Radio Astronomy- The branch of astronomy concerned with radio emissions from celestial objects. We are blessed to have a pioneer in this subject amongst us. Born in 1929 in the state of Uttar Pradesh, Prof. Govind Swarup has obtained his Bachelor of Science and Master of Science from Allahabad University post which he went all the way to California to complete his PhD. Along with this he has also received a Doctorate of Engineering and a Doctorate of Science. He has worked in different places along the globe and has different amazing experiences. 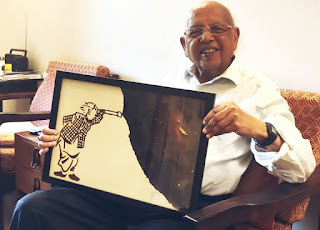 Honorable Govind Swarup has given his time, energy and knowledge in making of the Ooty Radio Telescope (ORT) in Muthorai and the Giant Metrewave Radio Telescope (GMRT) near Pune. These telescopes are amongst the largest in the world. This has made us reach a different level of research standards thus making ORT to be one of the most sensitive radio telescopes in the world. This telescope has made possible a different level of discoveries in the solar system. While on the other hand GMRT was the world's largest interferometry array at the time it was built offering a baseline of up to 25 kilometers. These facilities are used by the Scientists from different parts of the world thus making it one of the important facilities on this planet. India has built a strong group in radio astrophysics at Tata Institute of Fundamental Research under the guidance of Prof. Govind Swarup which is one of the best in the world. He is the pioneer in developing the Type U' solar radio bursts along with the Gyro-radiation model. He has also developed a round trip transmission technique for phase measurements. This technique is used in almost all the radio interferometers in the world. Needless to say he has excelled as a Professor, Researcher, Project director and in many more professions holding membership of large number of professional Societies. For his great contribution he has received about 20 awards including a Padma Shri as well as a Lifetime Achievement Award from the Department of Atomic Energy. Recently our beloved Honorable Govind Swarup turned 90. On this occasion the Giant metre wave radio telescope was upgraded as uGMRT. We wish you a healthy life and many more revolutions around the Sun. Ever wondered if the astronomical bodies play? Yes, they do. The Sun, Moon and Earth are often found playing hide and seek. Confused? Eclipse is the answer to this confusion! 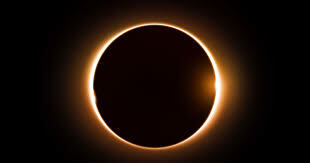 Eclipse – It is an event when one astronomical object hides the other. During the eclipse a celestial body partially or totally covers another celestial object. Thus the game of shadows start. In this event all the three bodies are aligned in a straight line. This alignment is known as Syzyy. It is a wonder how such a large Sun hides behind the moon. The answer to this is that about 400 times larger Sun is also about 400 times far from it. Hence they have the same angular size which is about 1/2°. This appears as the Moon covering the Sun forming the miraculous phenomenon. Here the Moon lies in between the Earth and the Sun. This results in the shadow of the Moon on the Earth. Thus the moon is the barrier to watch the Sun from earth. These eclipses occur only on a new Moon day. There are about 2 to 5 Solar Eclipses in a year. A lunar eclipse occurs when the shadow of the Earth falls on the Moon. Here the Earth is in the center thus blocking the light from the Sun to reach the Moon. Contradictory to Solar eclipse, lunar eclipse occur on Full Moon day. It is also further classified into Total, Partial and Penumbral eclipse. Like the Earth, the other planets also experience Eclipses. Some of them enjoy this game quite often as the number of moon is greater! The earth will be experiencing its Solar Eclipse on 2nd July 2019. Stay tuned for updates! Supermoon! As the name suggests, it is a full moon that appears much bigger than usual. This new moon is actually closest to the Earth in its elliptical orbit which results in a slightly larger-than-usual appearance from Earth. The technical name for this is also perigee syzygy. A Supermoon can be seen few times in a year. Here are about 12 or 13 full moons each year out of which three or four may be Supermoons. Talking about the present year, the first Supermoon of 2019 was the Super Blood Wolf Moon on Jan. 20-21. This was followed by one on 19th February 2019 when the moon was the closest to the earth in 2019. The last will be seen on 21st March 2019. Thus this will end the series for Supermoon this year. All of these full moons are less than 362,000 km away from the center of the Earth. During this phase the moon appears to be approx. 30% brighter and about 14% larger. However this is still not that clear to natural eyes although a telescope can be of great help. It is observed that the moon was at its closest point from the Earth on November 2016 while it is still believed to come closer in 2030. It is also believed that the full moon that took place in January 1912 was the closest; roughly 100 kilometers nearer to Earth than that in November 2016 further also adding that in November 2034 will witness the moon to be even closer than both the 1912 and 2016 moons. Like Supermoon there is also a point when the moon is farthest. This will occur on September 14, 2019. Sometimes a Supermoon coincides with a total lunar eclipse. This happened during the January Supermoon this year. The moons gravitation affects the oceans. This makes the tides higher than the normal full moon. It is also guessed that this phenomenon may increase the risk of earthquakes and volcanic eruptions. 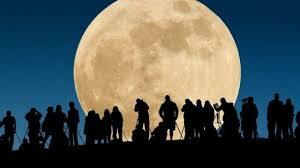 However the night during the Supermoon appear to be brighter and this can be exciting to human eyes! Gear up to recognize the last Supermoon of the year. 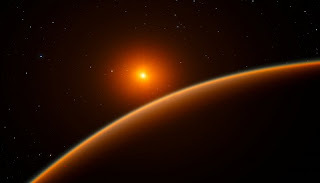 Scholz’s Star – A close encounter. With the advancement in science and technology, we have developed techniques to develop present and secure future. Nevertheless, with the advancement in science we can go back in past and study different aspects of the earlier world. Surprisingly there is a research performed about a star that has marked its evidence as back as 70,000 years ago! Scholz's Star - a dim binary stellar system passed through the solar system's Oort cloud (group of comet bodies believed to be between 5,000 and 100,000 AU from the sun) along with its fellow mate, a brown dwarf 70,000 years ago. Discovered In 2013 by astronomer Ralf-Dieter Scholz, Scholz’s star came under the lime light from 2015, when a team of astronomers led by Eric Mamajek gave details of a possible stellar flyby. Some proofs come in front of us without any intention of invention. This Star encounter is one of its examples. Valentin Ivanov discovered a nearby star which was almost sitting still. Most Stars have the tendency to move across the sky over the course of years. But this was not the case with this star. This made Mamajek study further thus providing us with all possible details. It is now settled at about 20 light-years away from the Sun in the Southern constellation Monoceros near the galactic plane. It came within a light-year of the sun. This is the closest such encounter as of now. But we are still seeing the influence of its visit. In the initial study by Mamajek, it was thought that the encounter of the star would not have affected orbits of any objects in the solar system. Later a study in the Monthly Notices of the Royal Astronomical Society quoted that this travel has left its traces on the comets from the Oort cloud which marks the edge of the solar system. Interestingly, while studying the details about them Scientists are guessing the presence of eight objects that might be from outside of solar system. Even though the history of the Star has been discovered it will be suspense if our ancestors noticed it. Yet not to deny that if the star has flared up while passing our solar system, the humans back then must have marked its presence. Ever felt the burning in eyes while looking upwards? The bright Sun always amaze us in all the seasons. The heart of our solar system, a yellow dwarf is a ball of gases. It is a nearly perfect sphere consisting of hot plasma. The morning star is the main source of energy for the earth. It has diameter about 1.39 million kilometers which is 109 times that of Earth. The sun is such huge that it has its mass of about 330,000 times that of Earth while it is 99.86% of the total mass of the Solar System. The Sun is burning now for more than 4.5 billion years providing heat and light to other planets. It has a group of gasses which has a majority of hydrogen consisting of approximate 73% and helium of approx. 25%. The remaining is of other heavier elements, including oxygen, neon, carbon and iron. 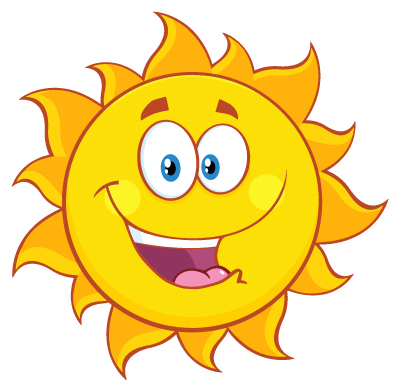 The Sun's power is about 386 billion billion mega Watts which is produced by nuclear fusion reactions. As it is immensely huge, it has immense gravity to hold the gases together. Besides these gases, its gravity is also used to hold all the planets in the orbit. It generates a magnetic field via a dynamo process. It is carried out in the solar system by the solar wind. It is a gigantic nuclear reactor. · Atmosphere – It is a gaseous surrounding the Sun. The outer layers of the Sun exhibit differential rotation. At the equator the surface rotates once every 25.4 days while near the poles it's as much as 36 days. Wondering why is it like this? This differential behavior is because the Sun is not a solid body like the Earth. Also, there is an interaction between the Sun and Earth. No wonder we feel the seasons, ocean currents, weather, climate, radiation belts! Opportunities, who does not love them? Exciting MARS received an Opportunity in the form of Rover to study the planet. 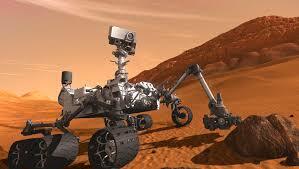 NASA had developed a robot in order to study and gather observations, and report back to Earth. It had a life span of 14 years from 2004 to 2018. It landed on MARS on January 25, 2004 three weeks after its twin Rover, Spirit. Opportunity was designed to work only for just three months but surprisingly it worked for 14 long years while Spirit that was designed for similar life span as of Opportunity was alive for six years covering almost 5 miles. Oppy, the loving name given name to Opportunity was expected to cover for less than a mile over the Martian but it crossed all the expectation and positively lived on MARS for 28 miles. Opportunity started developing in Eagle crater in 2004, travelling outward making its way to Endurance crater, later entering to Victoria crater. It then traveled to Endeavor crater, from which it made its way south along the Western rim. It made many measurements, completed different studies of rocks and smaller craters as well as panoramas. During its life tenure it transmitted 217,594 images which also including one Selfie. These twins proved the existence of water on MARS. Rightly said life has two points: Start and an End. On 10th June 2018 MARS faced sever dust storm. This thus led to loss of power required for operations. Three months later the storm cooled down and NASA begun to connect to the child present there. It made all sincere efforts to check if it survived the storm but it failed to receive any signal back. After no response received from the neighboring planet for months, NASA officially declared Mission Opportunity as Complete on 13th February 2019. In this way Oppy was seen on Perseverance Valley, its final resting spot. These twins provided us with evidences of some of the elements of life on the red planet. The world that is now deserted and lifeless may have some exciting facts hidden. Rewinding to few years before, Stars would help us know the directions. Today, as we are progressing we have a map in our hand before we start for the journey. Thanks to the Satellites that has made our lives so easy! Satellite is an orbiting object in the space revolving around bigger objects. As the satellites are placed intentionally in an orbit they are known as artificial satellites. Moon is our only natural and permanent satellite. Multiple other natural satellites are present in the solar system. For other artificial satellites, there is a launch vehicle places it into orbit. Satellite is lifted off from a launch pad on land, at sea from a submarine, a mobile maritime platform, or aboard a plane. Artificial satellites came into existence in the mid-20th century when the first artificial satellite Sputnik, a Russian space probe was lifted off on Oct. 4, 1957. The International Space Station is the largest man made satellite in orbit. · Payload for information gathering. A Satellite's orbit can be an ellipse or a circle that moves around two points known as foci. The planet is located at one of the foci. As a result, the net force applied to the satellite is not uniform around the orbit thus affecting its speed. It moves fastest when it's closest to the planet and slowest when it's farthest from the planet. The point closest to the planet is known as perigee while that when farthest from the planet is apogee. Satellite subsystems attend many tasks, such as power generation, thermal control, telemetry, attitude control and orbit control. 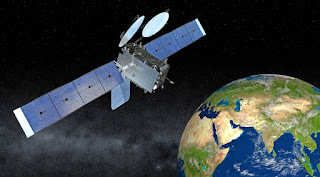 Besides the GPS, satellites are used for many purposes. Several other applications are that they can be used for military observations, communication, for mapping stars and planetary surfaces, to determine the weather. They also take pictures of their respective planets. Satellite can be classified in a number of ways depending on their purpose. Some of them are low Earth orbit, polar orbit, and geostationary orbit, drone satellite, ground satellite, etc. There have been several Satellites in the space by now. From 2018 estimate, some 4,900 have remained in orbit, out of which about 1,900 were operating. Remaining has become debris. Astronin.org. Simple theme. Powered by Blogger.